2008: A Giveaway @ Hey Lady! Whatcha Readin'? Please add my name for both books. Thanks and have a great day! I am interested in both of these…thanks! Please enter me for the giveaway for both books. I have subscribed to your RSS feed. I have Nefertiti, so I’d love a chance at The Heretic Queen. Thanks! I’d love to win Nefertiti. I’ve heard great things. I would love to read either one, I’ve heard such good things about them both! I’d be interested in winning either book or both. I’m interested in the Heretic Queen. I already own a copy of Nefertiti. I’m feeling a little desperate to read both these books. Thanks for the chance to win one! I would love to win Nefertiti. Thank you! I just subcribed to your RSS feed. They both look good. Thanks! Great giveaway! Thanks!! Please enter me. I am interested in The Heretic Queen! Please be sure to visit mine today too if you have time! I would love to win a copy of The Heretic Queen. Thanks for the giveaway! Have been reading great reviews about these books. Thanks for the opportunity to win them. I’d love to win either of these books â€” have heard so many great things about them! I’d love a chance to read these! Thanks! Oooooh la la….great giveaway. I can’t choose between the two….but would love to win. Look like great books! Thanks for the chance to win. I’d love to win this book! Thanks for the chance! I would love to be entered for either! I would love to win either one of these! I am always looking for new authors and great books…. these look wonderful! I would like either one. I would love to read either one of these. I’ve heard good things about this author and her books. Hi! I’d be interested in The Heretic Queen. I already have Nefertiti and loaned it out to someone to read (even though I haven’t read it yet!). Did you know Michelle Moran is coming out with another book next year?? YAY! I love Historicals and have long been wanting to read Ms Moran’s works. Thanks for this great giveaway! I’m interested in both of these books. Please enter me! I’ve blogged about your giveaway here. I love historical novels and haven’t read either one of these yet, so either one would be wonderful to win! I’d be interested in reading both of Michelle Moran’s books, so please enter me. I would definitely be interested in both! Thanks. I am interested in both they sound like books I will really enjoy. Thank you for the giveaway! Both!!!! I have tried so many times to get either one of these books….please oh please enter me! Oh! I’d love to be entered for both of these. I keep hearing about them but havent read them yet. no need to enter me , I have these wonderful books! just wanted to say hi and thanks for participating in the carnival:) awesome giveaway! Interested in both of those. I had pulled a review out of the AJC about the Heretic Queen not too long ago. Sounds awesome! Thanks for having the giveaway! Hi – please add my name for both books! I also subscribed to your blog through google reader! I would love to read both of these books! I see that my odds aren’t great, but enter me in the giveaway please! Both of these books look amazing. Thanks for the great giveaway! Can I enter too?! I m not from US or Canada!!! i would love to win both ! i’m interested in The Heretic Queen! I’m interested in both. I’ve heard good things about Nefertiti and I borrowed the Heretic Queen from the library and would love to add it to my collection. Thanks for the giveaway. awalworth19(at)gmail(dot)com. I would love to be entered for both books please! Thank you for the wonerful giveaway! I’d love either one or both! Thanks for the giveaway! I am interested in both these books. They both sound fascinating! I found your blog through the Book Reviews Book Carnival. Thanks for the chance to win! thank you for having this! These look and sound like an excellent read. I would love both. Thank you! I am very much interested in both Michelle Moran books! Thank you for the giveaway and please enter me! 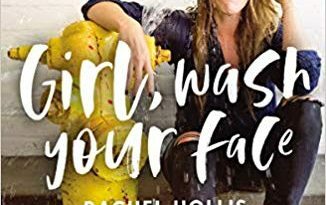 I’ve heard tons of great things about Michelle’s books, and would love a chance to win either one of them! Thanks for hosting the giveaway. I’m very interested in both! I haven’t read either and really am eager to read them. Thanks for the great giveaway! Both of these books look great, so I would like to be entered for both. Thank you for the great giveaway! I subscribed through Google reader! I’m an avid reader, so I love book giveaways! I’m interested in noth Nefertiti and The Heretic Queen. Thank you for offering a chance to win! I’m interested in both books as I love reading. When done, I pass the books along to family and friends to enjoy. With 2 small kids, I dont really get to read much, but I’d really love to win this as a gift for a friend. This is on her wish list!! Would love either one, thanks! I would like to be entered for Heretic’s Wife. I just bought Nefertiti. sorry forgot my email bookmark60 at hotmail dot com.. This is a great giveaway! Both books look fantastic! I would love to read both either one of them or both. Both of these books have been on my “wanted list” of books to read. Thank you for the chance! I would love to be entered for either of these books. They both sound fantastic! wow! Ever since I’ve heard and read about the fascinating reviews of Moran’s Nefertiti book, I’ve been more than ever driven to find a copy. Unfortunately, I am having a hard time. So if you’re sending international, please toss my name in the hat for these 2 books. Please enter me for The Heretic Queen. These books are supposed to be amazing. I would love to enter this contest. I have The Heretic Queen already so I would love to win my own copy of Nefertiti! I just read a library copy of it and I absolutely LOVED it. I would so much enjoy having that in my library and I’d like to read it again. She’s a terrific author! Very nice giveaway! Thank you. Either of these books would be great. I’m very much interested in both books. Nefertiti was a fascinating character in ancient history and I never tire of learning about her. I’ve heard so much about both of these books….I would love to win either of them!! Please enter me in your contest!! I would love either one of these! They sound very interesting! Interested in both… I love ancient Egyptian fiction! Thank you to everyone who has been entering – I wish that every entry could win!!!!!! I would love to read both books. I have been facinated by Egypt for many many years. I did get a chance to go there several years ago and enjoyed all the history and antiquities there. Love reading anything about other cultures and I really appreciate the opportunity to win. Please enter me! I’m interested in both books, thanks! both books sounds great I would be more than happy to win either! Both of these books sound excellent!!! I would love to read both of these books. Thanks! Call me selfish, but I want both! Either book would be great! Thank you for the opportunity! These both look great! Thanks for the giveaway! I also subscribed to your blog in my Google reader! I would love to read these books. Either one would be great. Both of them sound interesting. Both books sound very interesting. Thanks for the chance to win.